From Mt. Washington to Big Jay what's the scoop. BC conditions, trip reports,or a great "hidden gem". A thread for an area of upstate NY encompassing the Tug Hill and Adks that has everything from the deepest snowfalls this side of Hokkaido to technical terrain of the High Peaks and slides. 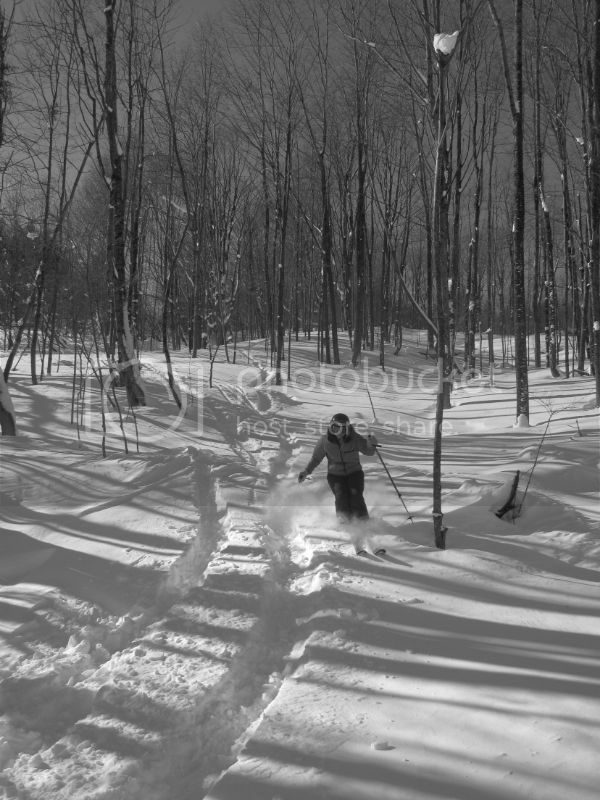 60" of snow between 12/11-12/14/13 on the Tug Hill is a good way to get started. 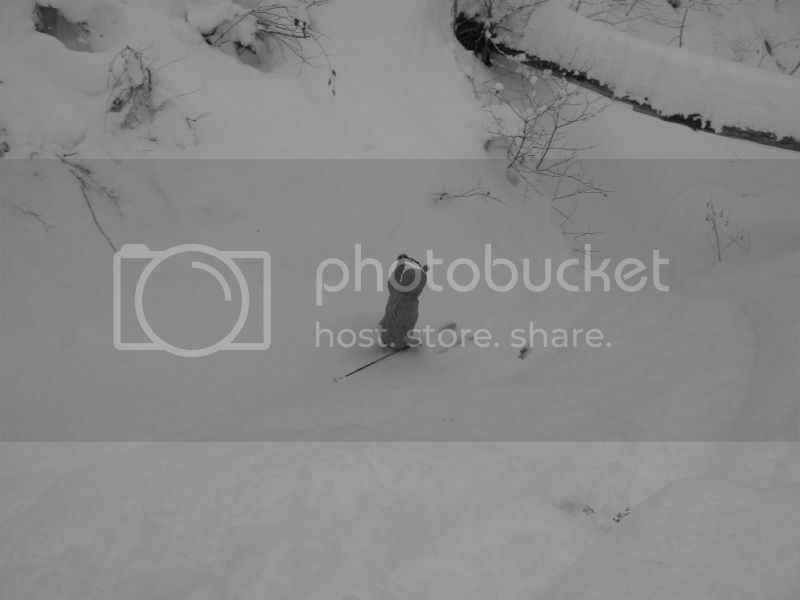 ... and a video of me skiing the lower half of a favorite ravine. Last edited by freedan on Mon Dec 16, 2013 9:02 am, edited 1 time in total. Sunday morning the snow total passed 6' since last Wednesday. Of course, it settles to less than that but yesterday in one ravine that I was stupid enough to get off my skis, I sank to my chest and my feet still didn't hit bottom - took some effort to get back onto skis. Will put up some more pics or video when I get a chance. And Tug Hill delivers again! Far less perfect than Zim. 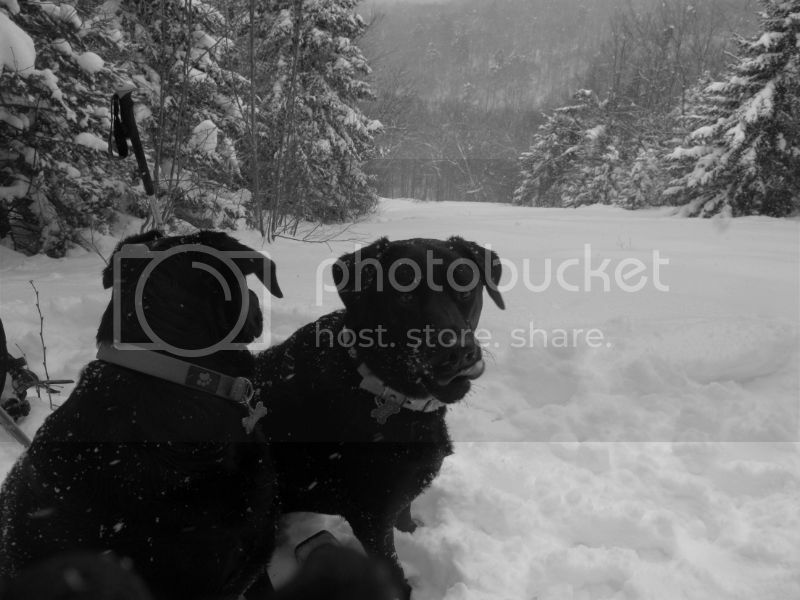 Got out in the bc in the Adks for a tour to little slide with my furry friends today. Excellent conditions with 18"-2' of powder on top of a couple crusty inches. Fun terrain with great coverage, might be the best conditions I've skied here in December. Lolo licking her lips for the powder, release the hounds! Thanks TM. What happened to all the snow overnight? Going to have to take up ice skating or ice climbing for a few days when the temps drop. Maybe I'll post some pics up of my skinny ski collection for your enjoyment. Did N. VT's snow get beaten back to leaves? Another 18" on the Tug Hill since Tuesday of this week. Spectacular skiing on the Tug! freedan wrote: Another 18" on the Tug Hill since Tuesday of this week. Spectacular skiing on the Tug! Geez, what the hell am I doing in Vermont? Showing your preference for vertical relief, obviously! Ahh yes... these mountains are very pretty to look at while covered in glare ice. The tug continues to come through this winter. Up to 205" of snowfall for this season so far and there is a deep locked up base with about 2' of softer snow on top. Everything is wide open and skiable. Plenty of floaty streambed lines today. No pictures but just another day in powder paradise. 12" of nice dense pow on top of an unbreakable crust on top of 2-3' of ski over anything base.